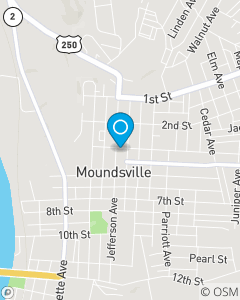 Located in downtown Moundsville, at the intersection of 3rd St. and Jefferson Ave.
My office's mission is to protect you from the unexpected, and help you reach your goals and dreams. We want to be your primary source for insurance and financial services, and provide you with the tools and knowledge you need to successfully make your future plans. We pledge to provide you with products that appropriately fit your needs and provide the best customer service. Our team aims to provide the famous Good Neighbor service! Stop by to meet our staff: Ashley Chanze, Tabatha Tubaugh, Brant Sawyers, and Randall Corbitt.